K&N Powersports Cartridge Oil Filters are designed to satisfy the needs of racers and engine builders as well as the average motorcycle or ATV owner who wants the best oil filter available. 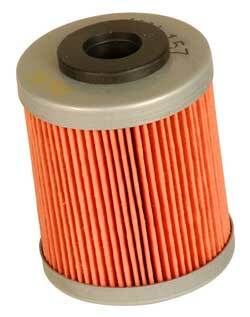 K&N Powersports Oil Filters are 'TUV' product endorsed and 'TUV' factory production monitored. 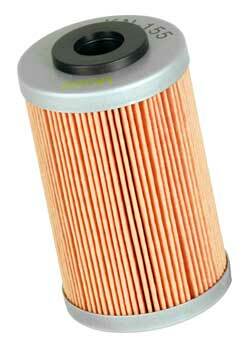 K&N cartridge oil filters trap harmful contaminants while the filter's construction allows for high oil flow rates. K&N Oil Filters are covered by a limited warranty to be free from defects in materials and workmanship when installed and replaced using engine and equipment manufacturer's recommended service intervals.